Zoom's H2 has been a popular recorders since it came out. No surprise there - it's a good all rounder at a reasonable price. 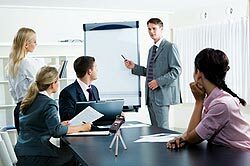 But what if all you need is a basic mini-recorder for meetings and other non-critical recordings? A sort of inexpensive sound notebook for less than £100? Well, that's exactly what the Zoom H1 is for. A pretty good alternative for when OK is good enough. 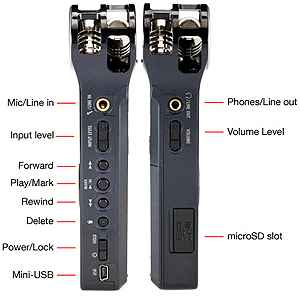 Whilst more expensive recorders have better internal microphones and microphone preamplifiers for a more accurate response, the ones in the H1 are reasonably acceptable for general purpose note taking, meeting recording, non-broadcast interviewing, and so forth, when you're on a tight budget. And the H1 is ideal for recordings made for transcription purposes (see our our own TransPedal-2015 and TransPedal-Classic to help you do this on a PC or Mac). 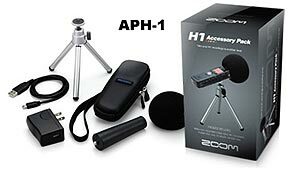 You can buy the H1 on its own or with its optional APH-1 Accessory Pack (see picture) which adds a UK power supply, USB lead, mic stand adaptor, desktop mini-tripod, foam windgag and soft case to your H1 setup. The H1 Handy Recorder puts all its functions at your fingertips. No menus. Its backlit display features recording levels, file format, time elapsed, remaining battery life and recording time. Its intuitive transport puts all the controls on the side panel, with no menus on the screen. A large record button gives you complete control. 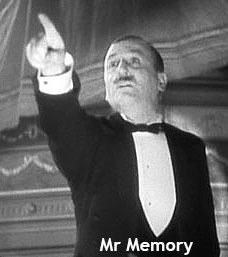 Playback and pause, marker, forward and rewind buttons are all accessible by your thumb. Volume for playback and monitoring can be adjusted using your index finger. 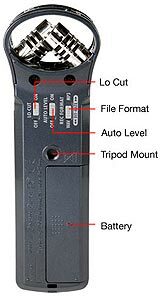 On the back, you’ll find a single AA battery compartment, a tripod mount, low cut filter, auto level setting and recording format selectable switches. On the right panel you can also adjust recording levels on the fly. A stereo mini-jack line in provided on this side as well as its USB port plus on/off and hold switch. On the left side, you can replace your microSD card by folding down the rubberized door. There’s also a stereo mini-jack line/headphone output with adjustable volume control for monitoring playback. A built-in mini speaker is on the bottom. THIS RECORDER COMES WITH ONE FREE 2Gb microSD CARD TO GET YOU STARTED. SEE BELOW FOR ALL OUR APPROVED microSD CARDS.